Food in Jars Blogger, Marisa McClellan shares her secrets. When I was growing up, we had a massive plum tree in our backyard. 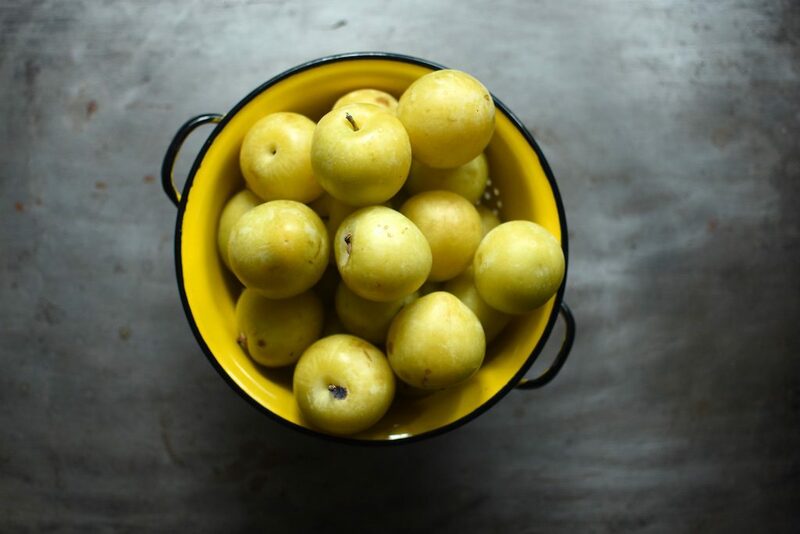 Every other summer, it produced many hundreds of pounds of plums (after all that output, it needed a season to recover). My parents gave those plums away to friends, neighbors, coworkers, and strangers walking down the street, but there were always more. My mom would make batches of jam in an attempt to use up those plums, and each time would reduce the amount of sugar. The outcome would be very delicious plum sauce that we ended up pouring over pancakes and into bowls of oatmeal. My sister and I loved that sloshy jam, but my mom was always disappointed in how it turned out. What she didn’t realize is that unless you use a low sugar pectin, you need to have a certain level of sugar present for the jam to set. This is because in jam making, sugar isn’t just another ingredient. 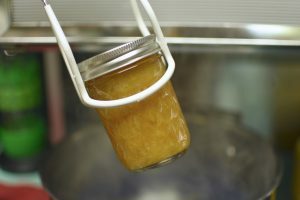 While sugar certainly does sweeten, but it also acts as a preservative, and helps the fruit thicken so that the finished jam will have a nice, firm set. What happens is as the jam cooks, the water in the fruit evaporates out. As the water converts to steam, the concentration of sugar increases, which allows the sugar to start elevating in temperature (this is the point where jam making starts to have things in common with candy making). As the concentration of sugar continues to increase, the potential temperature for the cooking jam also increases. Eventually, the jam will reach 220F, which is known as the gel phase for sugar. This means that at that temperature, the sugars form a gel. That gel bonds with the pectin (this can be either naturally occurring pectin or a product you’ve added). If you reduce the sugar, you aren’t able to achieve that temperature elevation and your jam will never set. What’s a canner to do when they can’t bear to add all that sugar? That’s when products like Pomona’s Pectin steps in to save the day. It is a low-sugar pectin that works beautifully with conventional granulated sugar, less refined cane sugar, honey, maple, agave, coconut sugar, and even fruit juice concentrates. 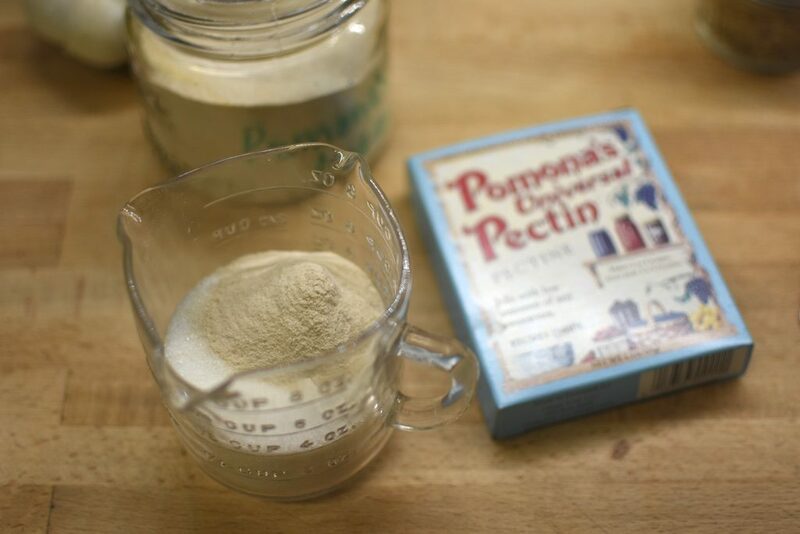 Pomona’s Pectin takes sugar out of the set equation entirely, relying instead on the reaction between calcium and pectin to create a set. 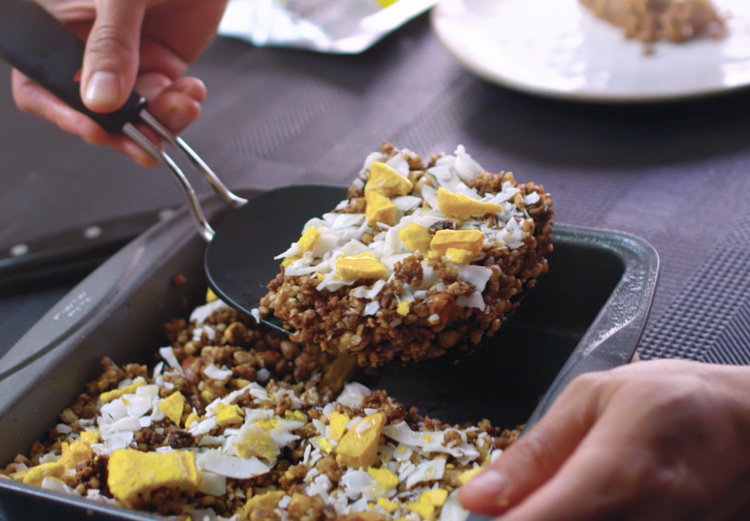 At the beginning of cooking, you combine the chopped fruit, two thirds of the sweetener you’re using, and a small amount of calcium water (the box comes with a packet of calcium powder that you mix into water). 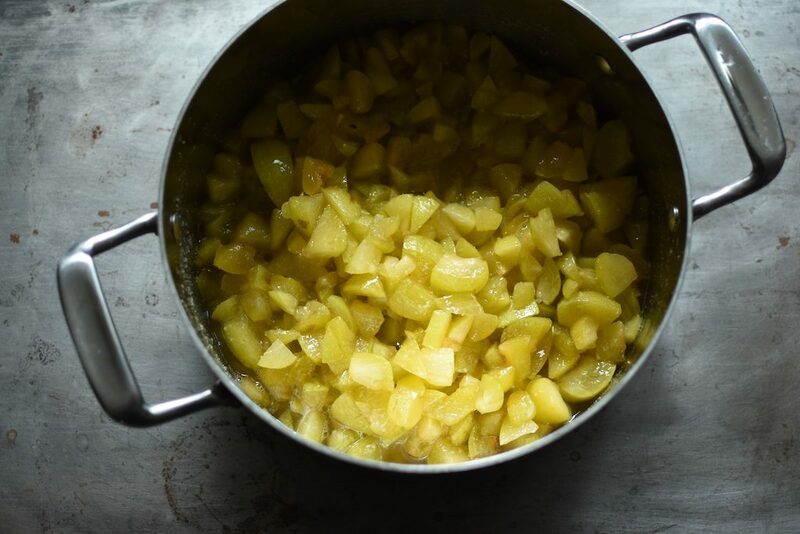 While the fruit cooks, you stir the required amount of pectin powder into the remaining third of the sweetener. Once the fruit has softened to your liking, you stir in the pectin-spiked sweetener. 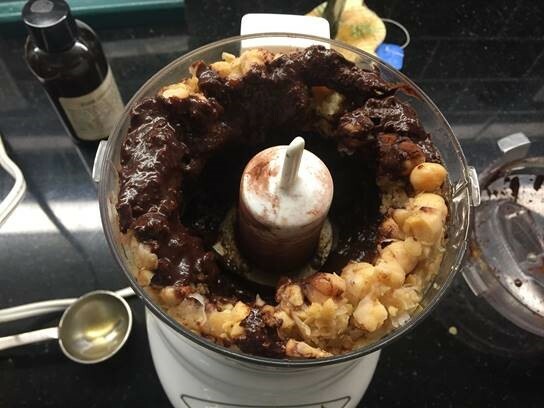 Typically, the jam will start to thicken right before your eyes. What you’re left with is delicious jam made with far less sugar than traditional recipes use. 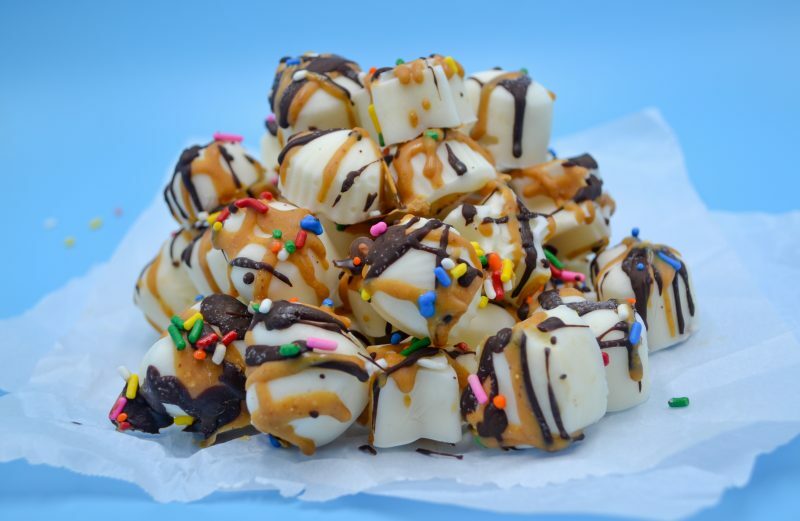 Now, there is one downside to reducing the amount of sugar and that is a slight decrease in shelf life. 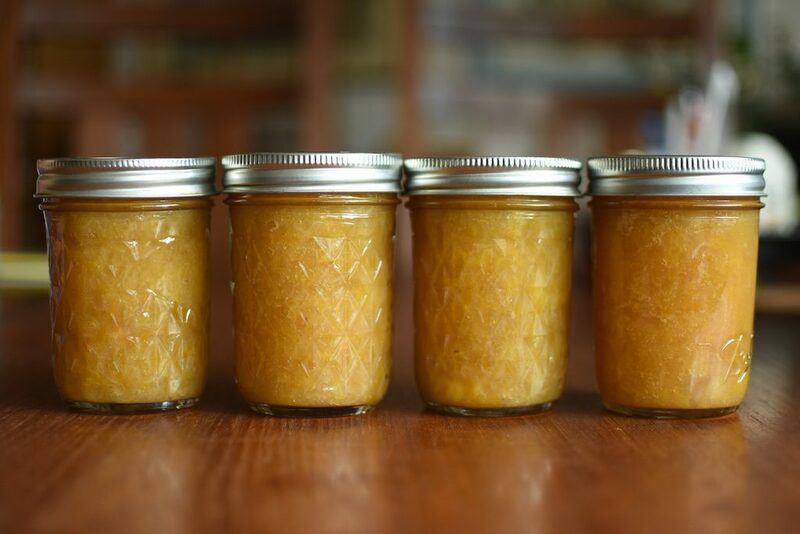 Sugar is a powerful preservative and when you use less, the jams you make have a reduced ability to retain their color and consistency over time. I find that they will keep beautifully for 9 to 12 months, but beyond that they start to visibly fade. They are still safe to eat, but won’t be a visibly appealing. Still, I’d rather have jams made with lower amounts of sugar that I need to eat or share within a year, than a pantry full of super sugary preserves. Hopefully you feel the same way! 1. Prepare a boiling water bath canner and 4 half pint jars. 2. Combine plums, 1 cup sugar, calcium water and stir to combine. 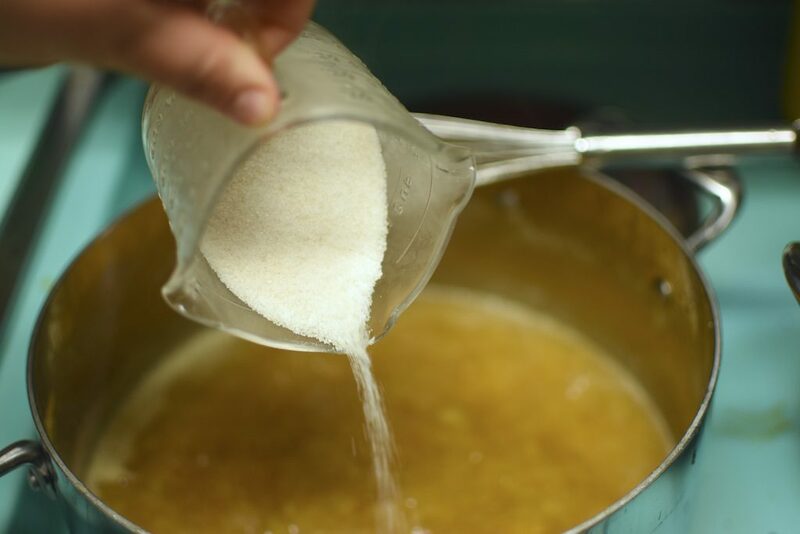 Once the sugar has started to dissolve, set on the stove over high heat and bring to a boil. 3. Cook jam at a full boil for 15-20 minutes, until it has reduced in volume and is starting to thicken. 4. While the jam cooks, whisk together the remaining sugar and pectin powder. Stir the pectin-spiked sweetener into the cooking jam. 5. Cook for another 2-3 minutes at a full boil, until you see visible signs of thickening. 6. Remove the pot from the heat and funnel the jam into the prepared jars. Wipe the rims, apply the lids and rings, and process jars in a boiling water bath for 10 minutes. 7. When time is up, remove jars from canner and let cool on a folded kitchen towel. When jars are cool enough to handle, remove rings and test seals. Any unsealed jars should be refrigerated. All sealed jars are safe for shelf storage. Marisa McClellan is a full-time food writer and canning teacher, and is the voice behind the blog Food in Jars. She is the author of Food in Jars (Running Press 2012), Preserving by the Pint (Running Press 2014), and Naturally Sweet Food in Jars (Running Press 2016). Her fourth book, called The Food in Jars Kitchen, will be available in April 2019. Cornering The Coffee Myth: Is It Safe While Pregnant?